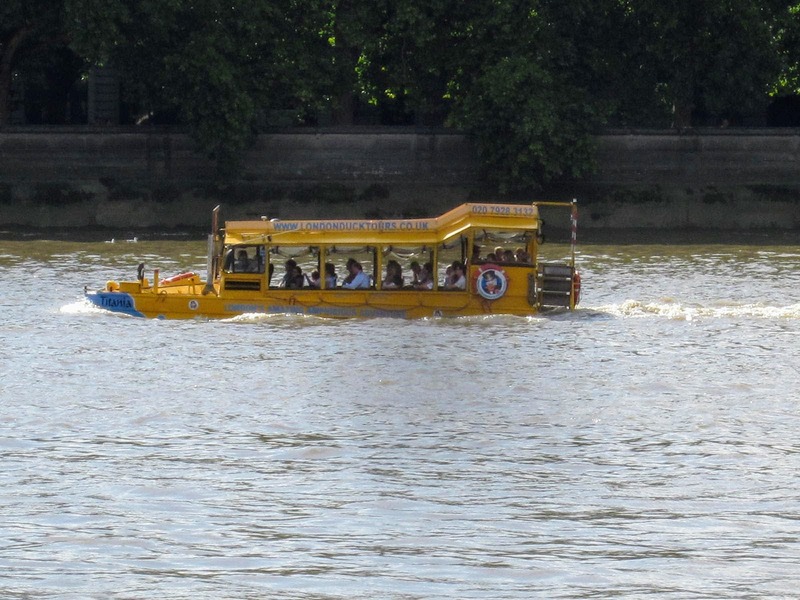 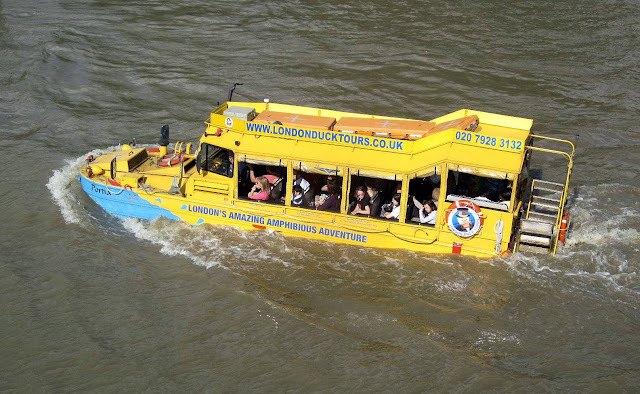 One of the London Duck Tour fleet, 'Miranda', enters the River Thames. 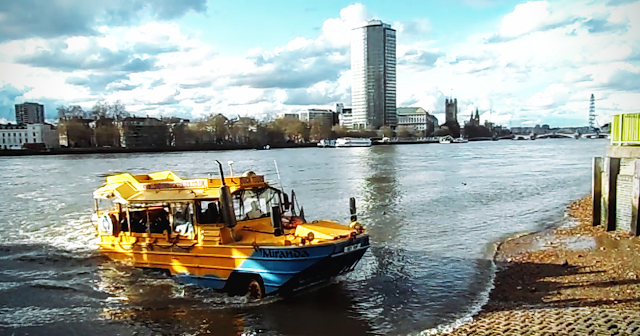 'Miranda' enters the River Thames. 'Titania' cruising along beside Victoria Tower Gardens. 'Portia' enjoying the calm of the River Thames. 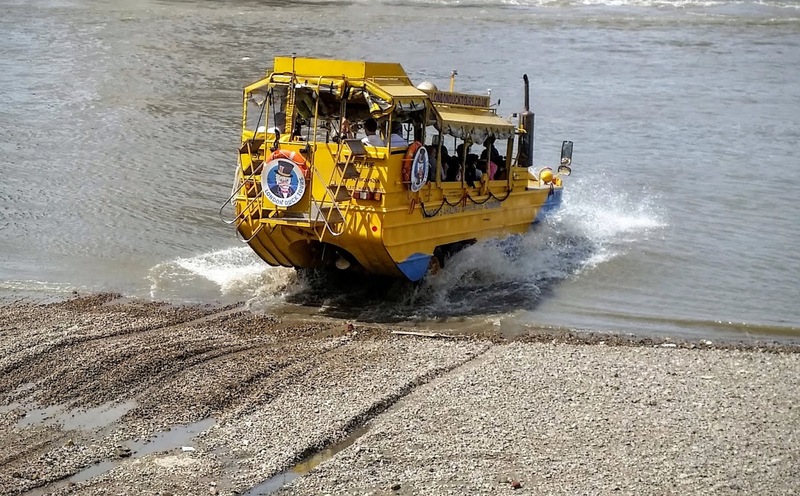 'Miranda' heads for dry land.